At Cianci Chiropractic Center, our goal is to provide patients with the best possible care. We are proud to be the only chiropractic office in Easton to provide spinal decompression therapy, a specialized treatment for individuals dealing with more serious spinal issues. We offer no-obligation, FREE CONSULTATIONS. Find out if we can help – Call (410) 820-4070 now! We’re proud to offer patients FREE CONSULTATIONS, same day appointments and onsite X-rays. We also accept some insurance plans and Medicare. Dr. Cianci has helped many patients experience pain relief without surgery. 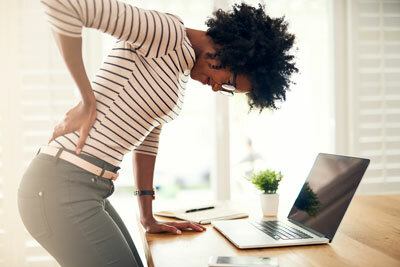 We employ natural, noninvasive chiropractic and spinal decompression techniques to treat this chronic ailment. Our methods are safe and effective, quickly relieving your pain and allowing you to live a full life. Don’t Let Pain Keep You From Life.